Showing you another Halloween card. Have I told you I love washi tapes? Yeah? Sorry to repeat myself. They are so cool to work with. I aligned some with ribbons for a colorful fun background. 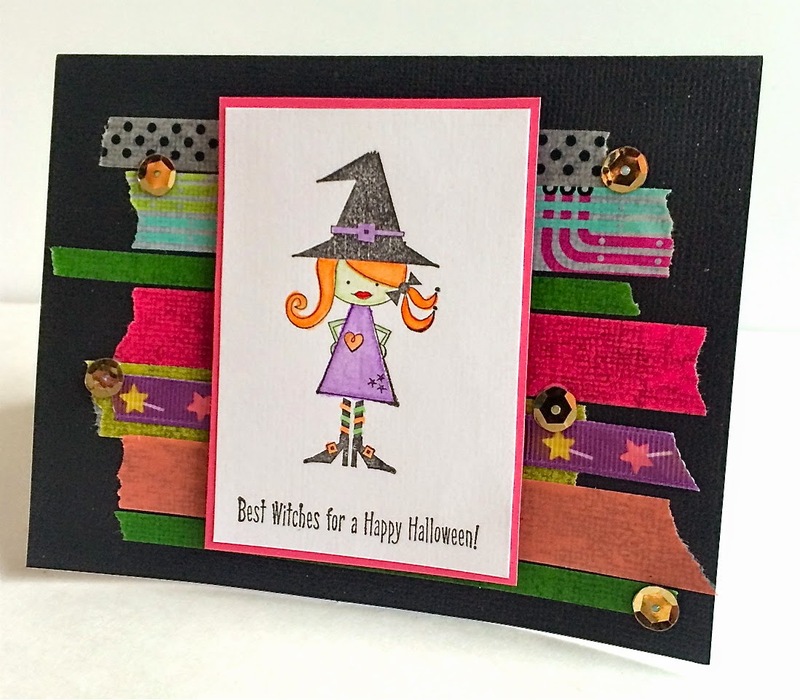 Love this little witch and sequins for a nice girly Halloween card. I plan to link this post tomorrow, to the Unity Stamp Co. Friday Friends with Flair. I usually try to participate and couldn't do it last week, so this week I'm sharing several posts. Leave a comment in this post and you participate for a chance to win with Unity. What an adorable background! And the witch is so cute!! cute, cute, cute! 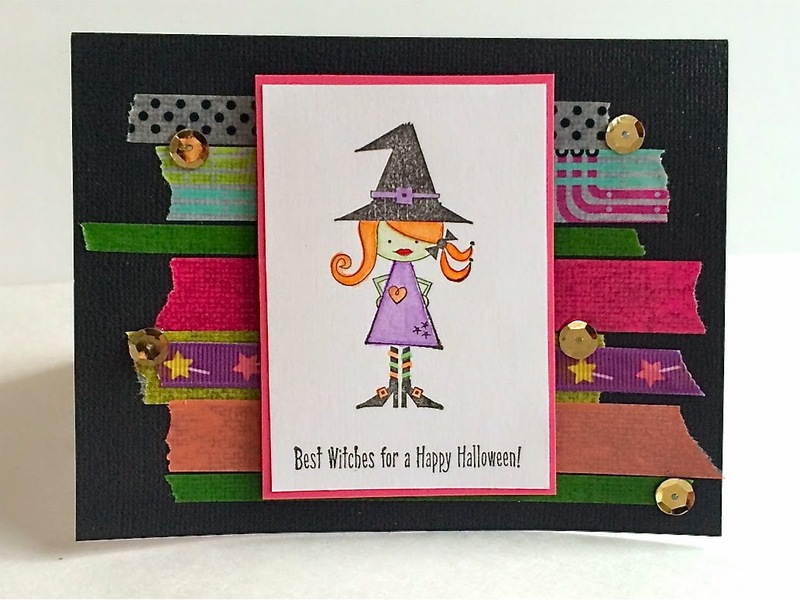 I love that fun little witch and the washi tape looks awesome! This is just darling! Fantastic washi background for an oh so cute witch! This is awesome! I love the way you used the washi tape! Absolutely adorable! Love that little witch & you did an awesome job keeping her FUN! Terrific card...I may be CASE-ing this! I like your ribbon and washi tape background. Too cute to be a witch. Darling card. Eeek! This is so adorable! So cute, love all the washi! What a wonderful, washi, ribbon creation! 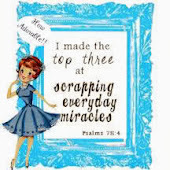 Love this sweet little card...adorable! !